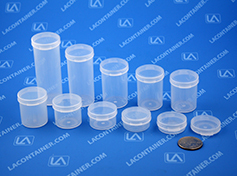 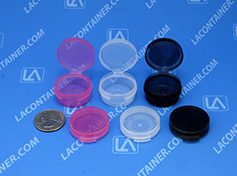 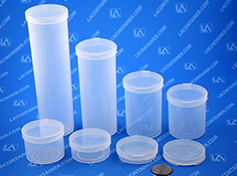 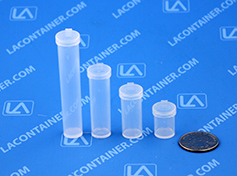 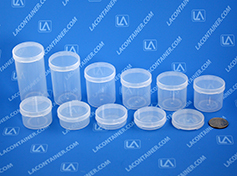 Lacons® are a line of small plastic containers available in over 65 different sizes in 6 different diameters in a wide range of transparent and opaque color options. 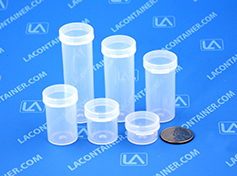 Manufactured with FDA compliant clarified polypropylene, these recyclable container are safe for use in pharmaceutical, medical, cosmetic, food, and laboratory applications. 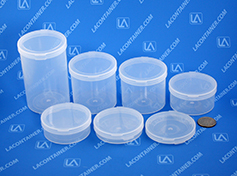 Lacons® plastic containers feature an air and moisture resistant one-piece hinged-lid design to better protect contents from dust and fluids.